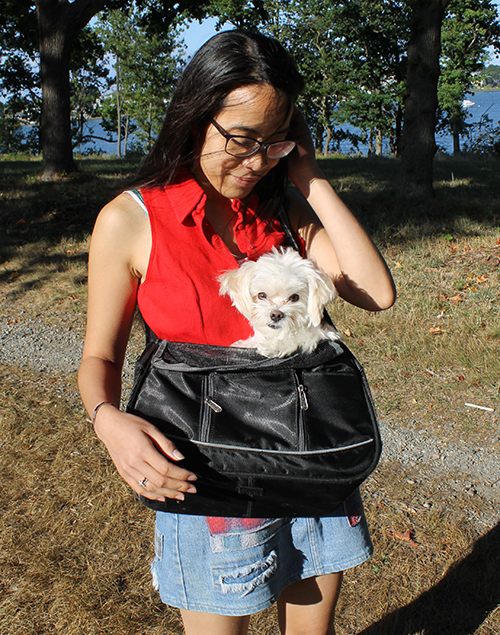 We finally ventured to the world’s end… that being World’s End in Hingham, Massachusetts, of course. 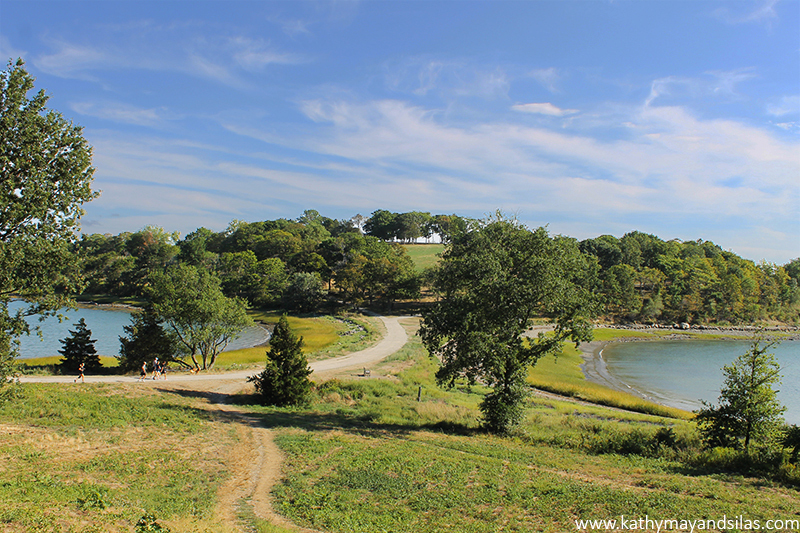 It is one of spectacular natural parks of the Boston Harbor Islands National Recreation Area. 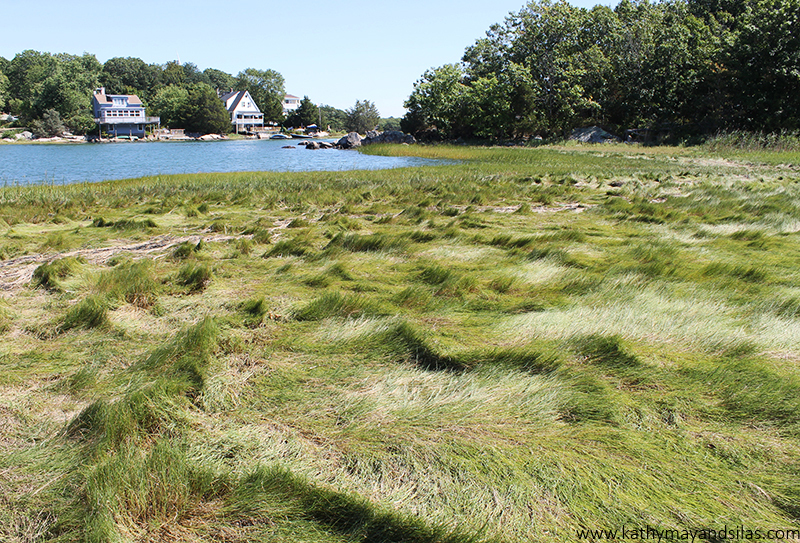 Only 15 miles out of Boston, we discovered 250 acres of other-worldly coastscapes, including tall, bare tree trunks arising from tidal marshes (above in the cover image) and swaths of vibrantly green marsh grass that resembled ocean waves (below). Boston Harbor Islands NRA is a system of drumlin islands (34 to be exact). A drumlin, etymologically derived from the Irish word droimnín meaning “littlest ridge,” is a small oval hill that is formed by the slow excavation of land by glaciers. 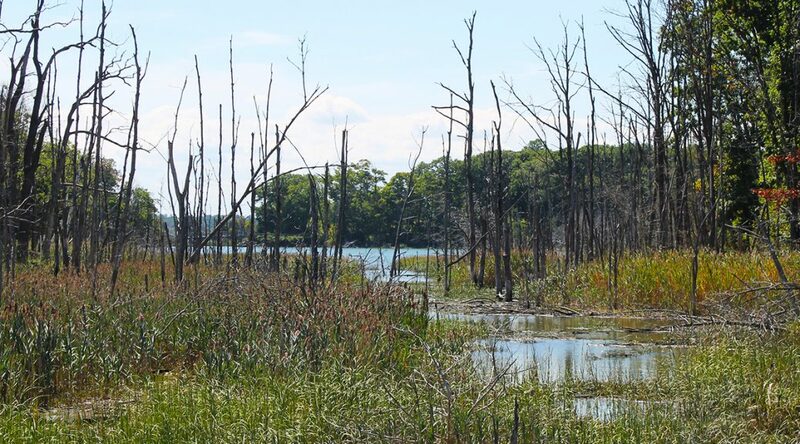 As seawater level increased, only the top of these drumlins remain as dry land and have become the Boston Harbor Islands. World’s End is actually no longer an island at all. 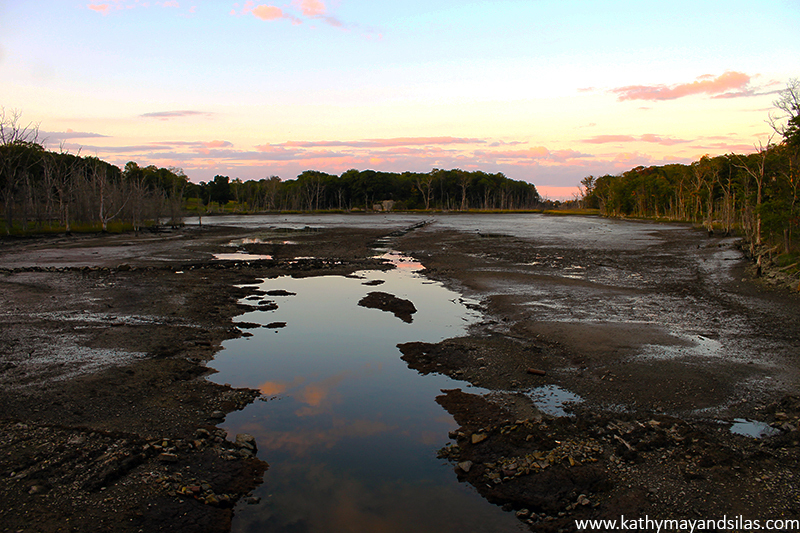 It used to be one, at high tide, until colonists dammed the salt marsh with agricultural ambitions. In the late 19th century, it was slated to become a farming estate, with Frederick Law Olmsted, America’s legendary landscape architect who designed our beloved Central Park in Manhattan, Prospect Park in Brooklyn, and Golden Gate Park in San Fran, hired to be the mastermind behind the grandest subdivision. Unfortunately (or fortunately, for us), the homes were never built and the four miles of carriage roads that remain have become today’s hiking trails at World’s End. Though World’s End is now a peninsula, four drumlins still remain as landlocked hills. Here is the view from one drumlin towards another. On the left is Weir River; on the right is Hingham Harbor. Fun fact: World’s End was one of the few locations considered for the site of the United Nations headquarters. As we know, the site finally selected was the east side of Manhattan. 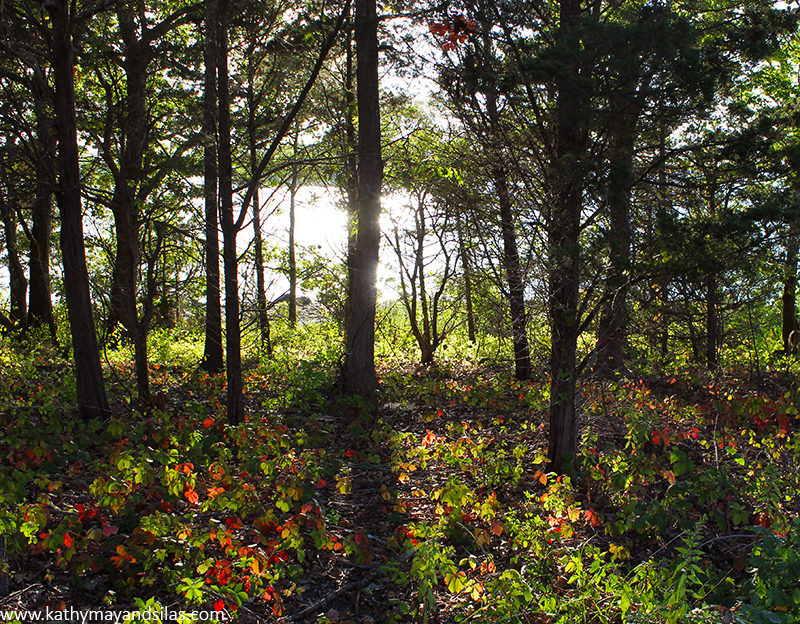 Can you imagine the General Assembly meeting in this mystical forest upon this ground-cover of stained glass leaves? The diversity of landscapes (meadows, tree groves, rocky shores, salt- and freshwater marshes, and more) of World’s End are occupied by a diversity of wildlife. For example, we spotted a flock of more than a dozen wild turkeys (note that it was a flock, not a rafter or gang, which would imply their members were turkeys of the domesticated kind). They trotted single-file from the marsh, across the trail, to the forest. 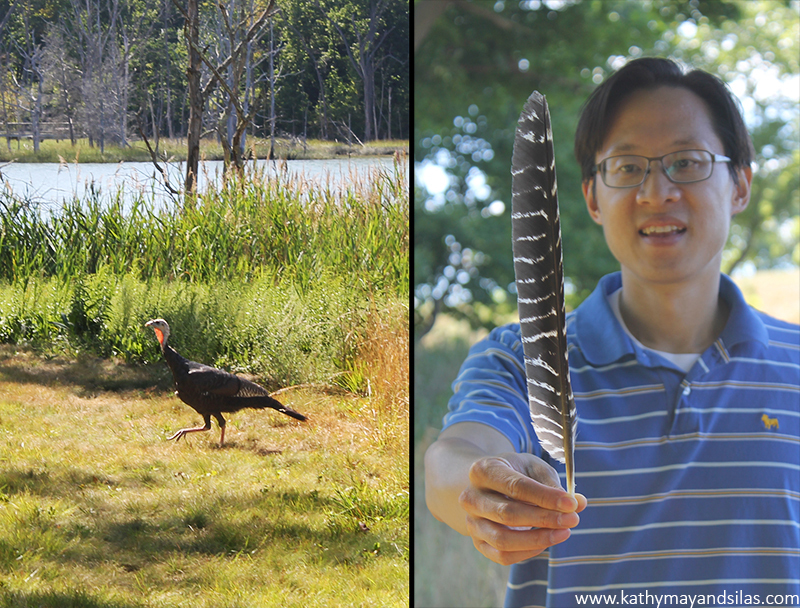 Later on a drumlintop, we found a gigantic turkey feather. Summer is crab molting season and we managed to just catch the end of it. 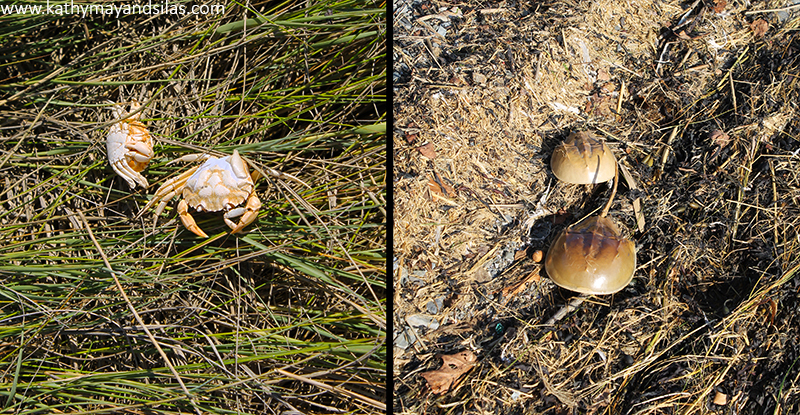 On the left are a couple of the molts that we found suspended in the sinewy tips of saltwater marsh grass. We are not sure the species as their colors have been bleached by the sun. Their size and shape are very similar to our former pet crabs. We believe those were Japanese shore crabs (click here to learn about how we raised our pet crabs). As physicians, we are great fans of horseshoe crabs, and we saw a number of their molts littering the rocky shoreline (by the way, stay tuned to our blog to learn more about why we love horseshoe crabs, how their mating and molting works, and what we will create with these empty shells)! As we peered beyond the blueberry thickets into the forest, we spotted a prancing deer. It was quite large though still had the white dappled camouflage markings of a fawn and there was no mother in sight. As we explored the sea floor at low tide, we were frequently squirted by water. We soon realized that these squirts of water, which reached at least a meter into the air, arose from little holes in the wet sand (red arrow below). 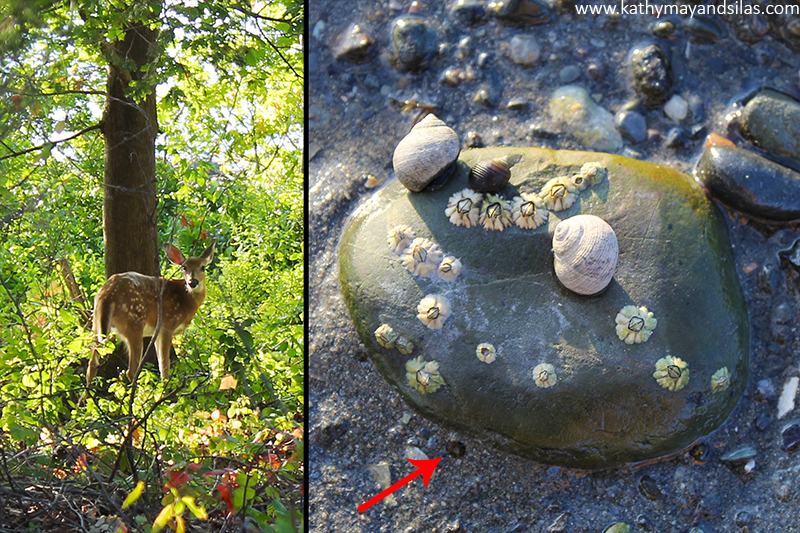 We still have to do some research into exactly what were the concealed creatures doing this – perhaps a buried clam? If you know, please let us know in the comments below! What a wonderfully magical site this was. We concluded our wonderful expedition to the world’s end at dusk by overlooking the salt marsh, essentially emptied by the outgoing tide. What a wonderfully magical site World’s End is. Click here to see a two-minute drone eye’s view of World’s End that really showcases its exquisite beauty.